Another stage in mobile identification progress completed – on pre-launch operation test of Mobile ID system developed by LLC “Innovation Development HUB” (ID HUB), which earlier passed the state expertise in the field of cryptographic information protection. 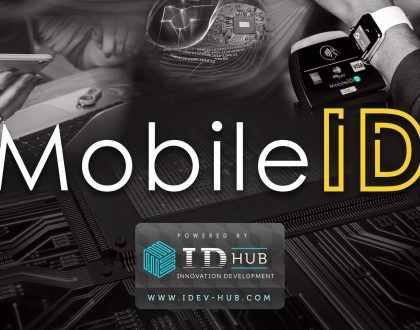 At this stage Mobile ID was tested for nearly 5 months in real business environment, with reference to internal processes and procedures of a large corporation. 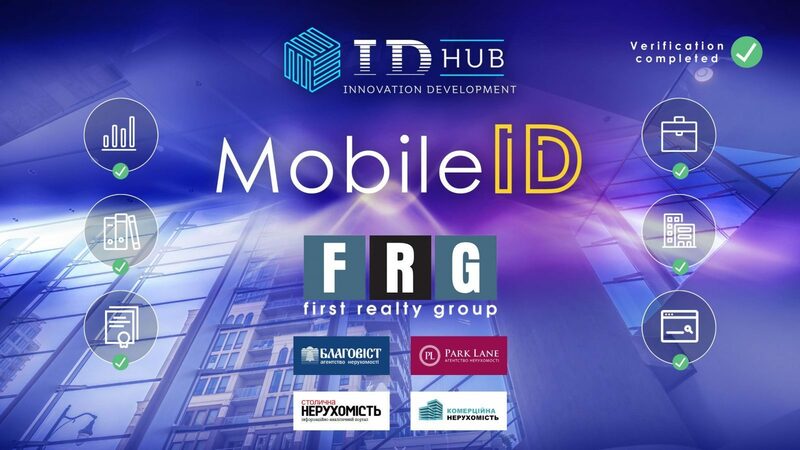 Partnership in testing Mobile ID system in “real-life” conditions was held by “First Realty Group” Corporation (FRG), with participation of one of leading private CAs and with assistance of Ukrainian mobile operator. “First Realty Group” corporation (Kyiv, Ukraine) provides external management and support of business processes for largest real estate agencies of Ukrainian capital – “Blagovest” and “Park Lane” – as well as administrative support of advertising and information portals “Capital Real Estate” and “Commercial Real Estate”. During the testing four main tasks were solved. First – technical – reliably functioning of all modules and components during identification process and imposition of mobile signature. Second – usability – simplicity and convenience of integration of Mobile ID platform with business information systems for document management, accounting, analysis and decision-making support. Third – commercial – effect of Mobile ID technology on improving efficiency of administrative procedures and productivity of management personnel. Fourth – processes optimization (technical and organizational). In particular, hundreds of times the cycle has been run of user identification in the system, creation and signing of electronic documents (with simple and qualified signature), as well as verification of imposed signature and verification of user’s identity. Notable, that cryptographic operations are performed in separate area of ​​new generation SIM card memory, which have previously been certified as secure media. Tests were conducted on different types of mobile phones, run by different operating systems – neither generation nor the type of phone has negatively affected operation of the system. Interaction with technical complexes of the Accredited Certification Authority during issuing certificates and with systems of mobile operator during exchange of service messages has been proven flawless. Successful integration of Mobile ID platform with the most popular management information systems has been confirmed – due to universal protocols and well-established algorithms of organizational interaction. Regarding commercial component of Mobile ID for business, practical confirmation has been obtained that spheres of possible application of the system are quite numerous. Thus, Mobile ID is perfectly suited for organizing outsourcing, exchanging data with external recipients, accompanying approval procedures, maintaining contract registers, and much more. For example, in the document management system of FRG corporation with Mobile ID service a rather rare function of multiple (collective) digital signature has been implemented – simultaneous or sequential signing by several signers on one document. Technology of mobile identification offers serious advantages for trading companies, who operate large number of bids, invoices, acts on daily basis. Broker agency and other intermediary companies can also benefit from using Mobile ID – especially when several thousands of users work simultaneously with single database. There is another important point that has been confirmed within the pilot project of ID HUB and FRG. For organizing of secure electronic document management in commercial organizations, only a full-functional Mobile ID solution is suitable, i.e. system with functions of imposition and verification of legally significant digital signature. Any partial solutions (for example, “identification only”, “identification and authentication”, etc.) in this context are significant step backwards and will arguably be ineffective in real business processes. Accordingly, such “limited” functionality will not be of significant interest for business. We express our gratitude to FRG Corporation, mobile operator and CA for productive cooperation and their recommendations on further development of the system! LLC “Innovation Development HUB” is open to partnership with operators, owners of online services and corporate information systems for joint implementation of Mobile ID technology in Ukraine.